The VERGE CROFT TOP (5521) is made from 100% cotton. 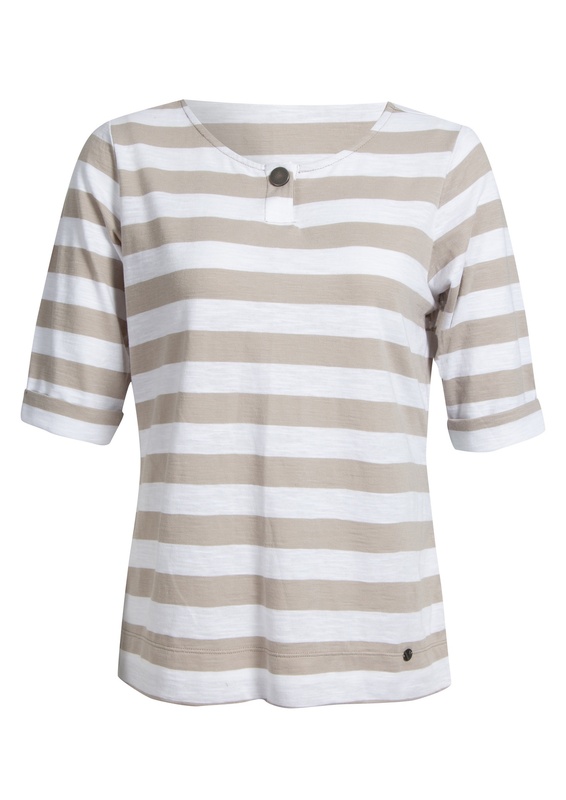 It is a ROUND NECK neck top with a short CUFFED sleeve. It features A FRONT PLACKET WITH ONE BUTTON CLOSURE and falls to JUST ABOVE the hip.